Here at ThermoBrush headquarters, we love using our TM31 Thermomix all the time to cook us great meals. We even get our young ones to help us make some yummy recipes. It has been brought to our attention that the old sealing ring may not function properly and needed to be replaced with the new green ring. Now most people are aware of the changes made by Vorwerk back in 2014, but if you are not up to date on these changes and if your Thermomix is affected by these new precautionary measures, then just click here to be taken to the original article for all the up-to-date information and how to get the new sealing ring. If you are still using the old ring, there are a few things you can do to protect yourself and loved ones from an unforeseen disaster. They are very simple to follow, but please do yourself a favour and replace the ring as soon as possible. Then turn the speed selector to Lid Open position and carefully open the lid. We are adding a simple video to help show you how to replace your sealing ring. Follow these steps for replacing ThermoMix TM31 Sealing Ring. Now that you have replaced your sealing ring, it is time for putting your cooking skills to the test. 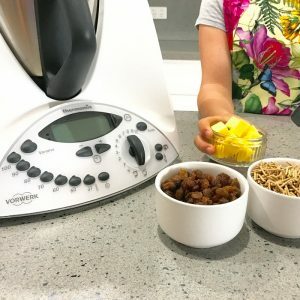 Don’t be afraid to experiment with your Thermomix by trying some new recipes, there are so many websites on the internet that are happy to share their free recipes that they cook with their Termomix’s. Thermobliss, a foodie lovers paradise for all things Termomix. Tenina, Recipes for Your Thermomix. Recipecommunity, Great recipes on Vorwerk site. Superkitchenmachine, who would like to see more cooks using Thermomix around the world. We have only listed a few here as there are too many great blogs and websites out there to name them all. Here is to great cooking days ahead.